Accudyne installed a Panel Laminator for building composite laminates used in the commercial aircraft industry. The machine produces laminates ranging in thickness from .020” to .500” (0.5 mm to 12.7 mm) using rolls of carbon or glass thermoset prepreg fabric. Material widths can range from 24 to 60 inches (610 to 1524 mm) and panel lengths from 12 inches to 96 inches (305 mm to 2438 mm). 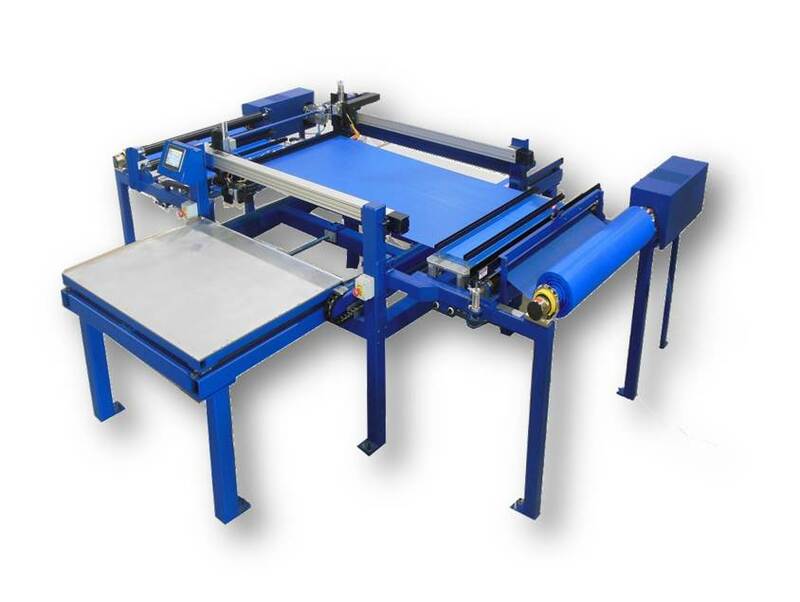 Two independent lamination tables allow for post processing of one laminate while another is being formed. Material is laminated at a rate of 20 to 40 seconds per ply depending on panel length. This equates to laydown rates of up to 150 lbs/hr (68 kg/hr) depending on material type and panel size. Part recipes can be created and saved using the HMI touch screen displaying simple menu options and machine status screens. The Panel Laminator replaces a labor intensive, hand lay- up process.